Keeping your conveyors up and running is critical to your operation. A belt going down or spindle breaking can cause production to quickly stop, leading to costly downtime. Fortunately, those days will soon be a thing of the past, thanks to the new Parts Audit program from Dorner. The Parts Audit program is a value-added free service offered by Dorner. The advantage to customers is receiving an audited list of recommended spare parts needed to keep their Dorner conveyors and equipment operational, as well as details of any pending maintenance issues in need of attention. The program’s goal is to ensure customers have the right spare parts in their bench stock to quickly repair their conveyor equipment and minimize production downtime. 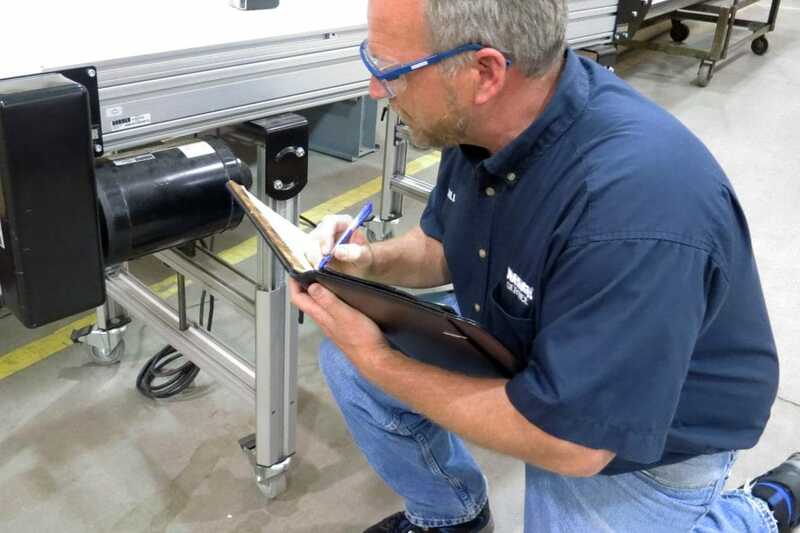 For customers interested in participating, a Dorner team visits their facility, evaluates the conveyors and equipment and prepares a parts audit list. When that list is sent to the customer, it includes a quote for the recommended parts, plus a report of any pending maintenance concerns. The service is free and there is no obligation to purchase the parts following the visit. For more information on the Parts Audit program, or to schedule a free visit, contact Steve Stuff at 800-397-8664 or steve.stuff@dorner.